Over the past few years, the FDA has stepped up its compliance and enforcement activities with device and drug manufacturers. As part of the FDA’s cross-cutting strategic priorities for 2011-2015 titled “Responding to the Public Health Challenges of the 21st Century”, the FDA has committed to enhancing its compliance and enforcement programs to strengthen the agency’s focus on preventing problems and responding rapidly when violations occur. The FDA is implementing a number of new programs designed to sharpen the effectiveness and timeliness of its regulatory, compliance, and enforcement systems. The agency established deadlines for industry to respond to significant inspection findings, which enable FDA to take enforcement action more rapidly if a manufacturer has not corrected violations documented after an inspection. Furthermore, the FDA has implemented processes to prioritize follow-up inspections after the agency has issued a Warning Letter, classified a major recall, or taken other significant enforcement and compliance actions. Under this renewed environment of swift enforcement actions, organizations are under ever more pressure to identify their key business risks and to manage those risks at an acceptable level. This means carefully monitoring regulatory, compliance, and product performance risks within the enterprise and external to the organization. Why are Inspection Readiness Assessments vital to the Organization? Medical Device manufacturing and drug processing is by nature, fraught with risk and uncertainty. A formal enterprise risk and compliance assessment focused on FDA Readiness provides a framework by which a company can more completely understand itself and the environmental factors that act upon its business. The benefits of this assessment increase the organization’s awareness of specific threats and vulnerabilities allowing Sr. Management a holistic view of their compliance maturity. Many of the most sensational enforcement actions of recent years were predicated on risk opacity—the inability of companies to understand the risks that their business practices were incurring and the risk that market and other factors were imposing upon them. In many cases, the problem was not simply that companies did not see risk indicators, but that, even when indicators were apparent, the companies lacked any meaningful way to quantify their potential impact. Moreover, they had no way to reach a corporate consensus on whether specific risks were acceptable or to what degree they should to be mitigated. Enterprise Risk and Compliance is both an input and output of corporate governance. As an input, risk management defines tolerances and thresholds that can and should be used to set the scope and focus of compliance functions—both managerial and auditing. 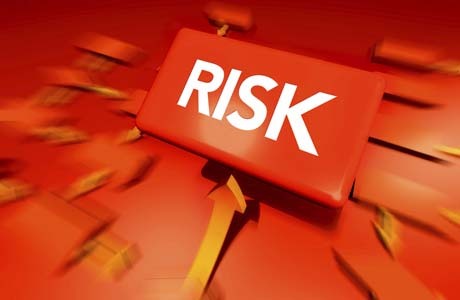 As an output, risk management is an auditable and definable set of conditions, procedures, processes, and polices that define a company’s ability to recognize and address risk factors. QDS specializes in Medical Device Software, Software systems classified as a Medical Devices, and software used to design, develop, or manufacture medical devices including electronic Quality System Software used in the enterprise. Our Risk and Compliance Assessment services encompasses the entire Software Development Life Cycle from planning to retirement including acquisition, supplier management, product concept, requirements elicitation, design, development, verification, validation, design transfer, risk analysis & mitigation, design review, product release, operations management, and post-market surveillance. Why outsource FDA Inspection Readiness Assessments? Your organization is primarily engaged in meeting the daily commitments required of product commercialization and operations management and may not have the support infrastructure or focus required to perform these risk and compliance activities. Additionally, an organization’s internal audit staff is typically lean and committed to performing regularly scheduled assessments on minor elements of the Quality Management System which provide limited risk and compliance coverage.